When looking at wedding dresses online Peoria IL brides have a lot of options. Thousands of styles and designers are available on the internet, and you can spend hours clicking through all of them, imagining how these gowns would look on you on your big day! At Adore Bridal, we know how important this preliminary research is. Before you schedule an appointment with a bridal boutique, you want to know what style you are looking for and what the bridal boutiques in your area have to offer you. That’s why we feature some of our bridal gowns, bridesmaid dresses and tuxedos online, as well as photos of our Adore Real Brides and the gowns they fell madly in love with! Once you know what you’re looking for, or even if you don’t have a clear idea yet, call us at 309-291-0838 or schedule your appointment online. 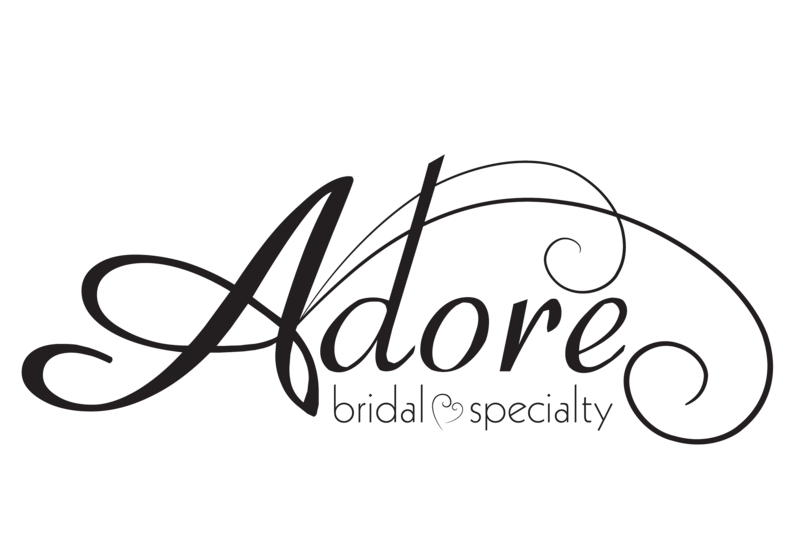 When you schedule an appointment with Adore Bridal, you aren’t just scheduling a day to try on multiple gorgeous gowns in front of your entourage; you are also scheduling an appointment with your own personal Adore stylist! Our stylists go above and beyond to make sure you leave our store with a smile on your face and a beautiful wedding gown! Your Adore stylist will connect with you before your appointment so she can get to know you and your dream wedding look. Then, she will get to work and pull gowns that she believes are perfect for you. Our stylists are known for finding a bride’s dream wedding gown before the bride walks in our door, so let us do the same for you! After browsing wedding dresses online Peoria IL brides can trust us to find the picture perfect gown for them.